So, Did Bach Really Compose That? Doubts about the authenticity of some of J.S. Bach’s compositions have risen again. Alex Ross writes: “the attribution of the Toccata and Fugue in D Minor … has been repeatedly questioned, with many scholars detecting features that are atypical of Bach’s style. Nowhere else in his organ music does Bach make prominent use of octave doubling, as in the opening measures of the Toccata: it’s a showy, brazen gesture that suggests a quite different creative personality from the one who produced the St. Matthew Passion.” Additionally, the musical community has long known about J.S. Bach’s compositional and musical collaborations with some of his sons (e.g., J.C. Bach and C.P.E Bach), not to mention his second wife, Anna Magdalena Bach. Christoph Wolff, former Dean of Harvard’s Music Department and one of the most celebrated Bach historians, has already explained Anna Magdalena’s musical abilities and her likely musical partnership with J.S. Bach. Wolff writes that Anna Magdalena “came from a family of musicians and brought to the marriage the background and orientation of a professional singer. Indeed, she regularly performed with her husband in Cöthen and elsewhere until 1725, and from the time public singing engagements are no longer recorded, her collaboration as a copyist is well documented. Until the early 1740s, her hand shows up in a variety of manuscripts containing Bach’s music…Anna Magdalena fulfilled many roles over the years: companion, professional partner, assistant, keyboard student, and maybe also critic…” (Johann Sebastian Bach: The Learned Musician, 2000, pp. 395-396). Later, in an interview, Wolff states that we just don’t know everything we might like to about Bach’s family life. However, Wolff is hopeful that researchers will continue to investigate the legacy and compositional processes of J.S. Bach. Very recently, the authenticity of Bach’s compositions have hit the headlines again. Primarily through forensic research (published first in 2006 and again in 2011), Martin Jarvis claims that some of J.S. Bach’s famous compositions were not composed by Bach himself, but rather by his second wife, Anna Magdalena This latest research advances Wolff’s conclusions and moves us towards a new understanding of Anna Magdalena’s collaborative, if not individual, role in Bach’s compositions. Historical-gendered politics aside, though these are extremely important considerations, the larger and perhaps most interesting aspect of this latest examination of Anna Magdalena’s musicianship, and possible compositional collaboration with her husband, is explained by composer Sally Beamish: “What I found fascinating is the questions it raises about the assumptions we make: that music is always written by one person…” In fact, and as we examine in detail in MM2 (e.g., pp. 250-253; pp. 333-360), composing happens in complex personal, social, cultural, political, and other contexts. As such compositional processes are complex social processes, not purely individual, “solo” actions. Whenever individuals begin to compose, they are never acting “alone,” although it may seem so on the surface. In fact, their composing is always situated and social in a number of ways. First, the musical understanding required to compose particular kinds of music develops in relation to the musical products of other composers (performers and so on) past and present, who have learned and immersed themselves in the music making of particular musical praxes. 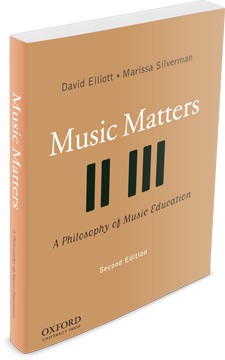 Composers—including children, young people, amateur adults, and professionals—like all music makers, begin learning composing at a certain point in the past or recent history of the musical praxis contexts in which they’re composing. We learn to compose by growing into (usually with the guidance of others, whether teachers or in relation to instructional videos on YouTube, etc.) the praxis-specific ways of musical composing that musicers maintain, change, embody, and pass on directly or indirectly in and through their composing. So composing, like all forms of musicing, is highly contextual in that composers don’t generate and select musical ideas in abstraction. Composers don’t simply “compose.” They compose particular forms of music or create new or hybrid forms: styles of songs, film scores, fanfares, preludes, laments, dance suites, string quartets, symphonies, marches, overtures, operas, requiems, sonatas, concertos, cantatas, and so on. In doing so, composers become entwined with past and present models of compositional praxes that they decide to follow, adjust, redevelop, or overturn.